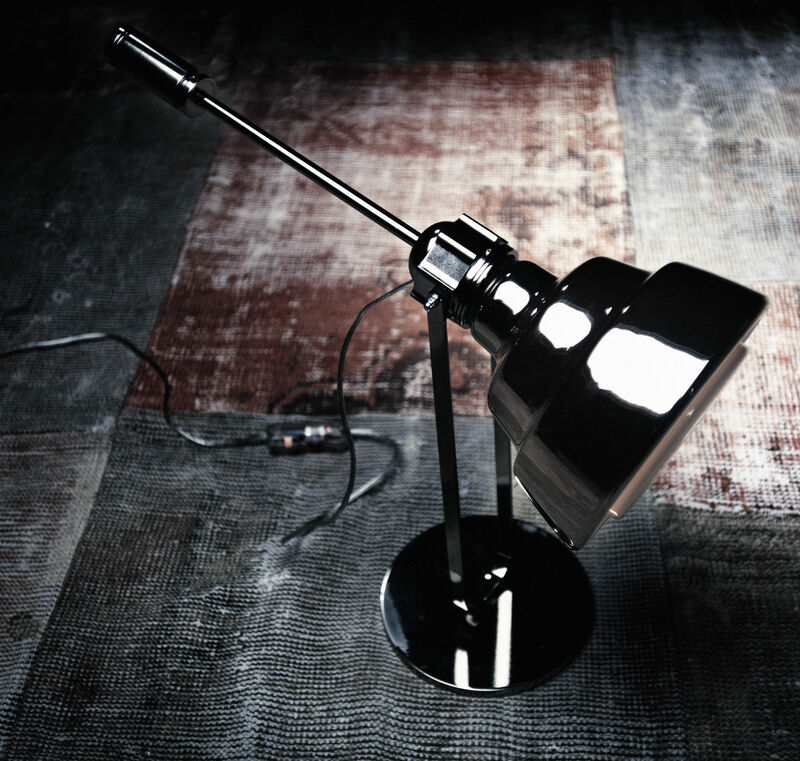 Glas takes the familiar image of industrial lamps used in warehouses and factories worldwide. A reinvented icon in the light of a new contemporary lifestyle, transformed into a precious and personal entity, transported into a timeless dimension. 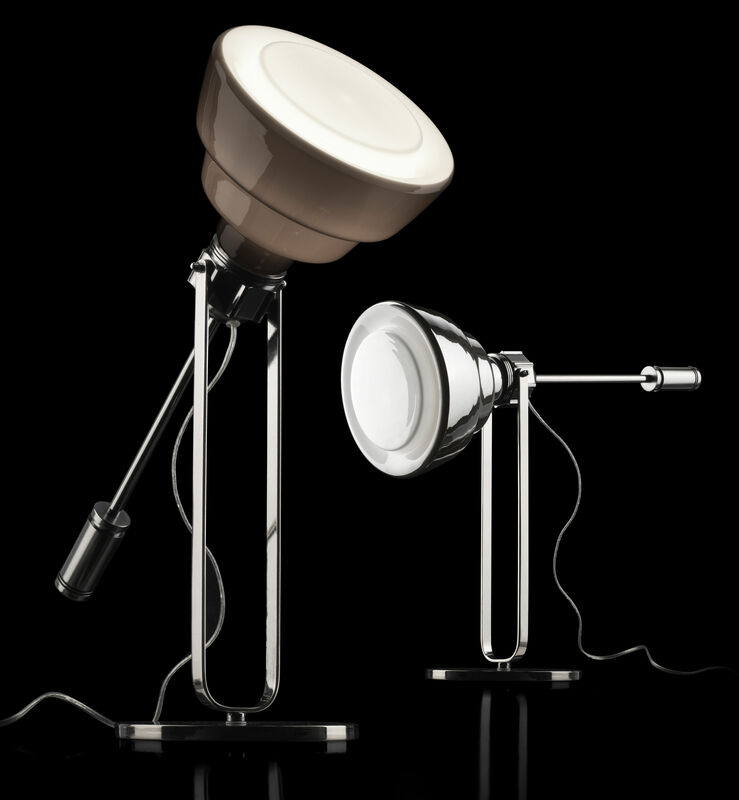 By day, by night: Glas is a lamp with a double life. 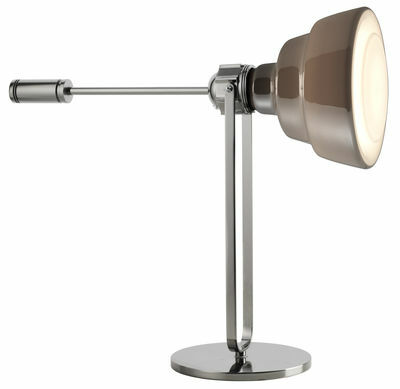 When it is off, the superfi cial chromecoloured refl ects the surrounding environment and objects like a mirror. 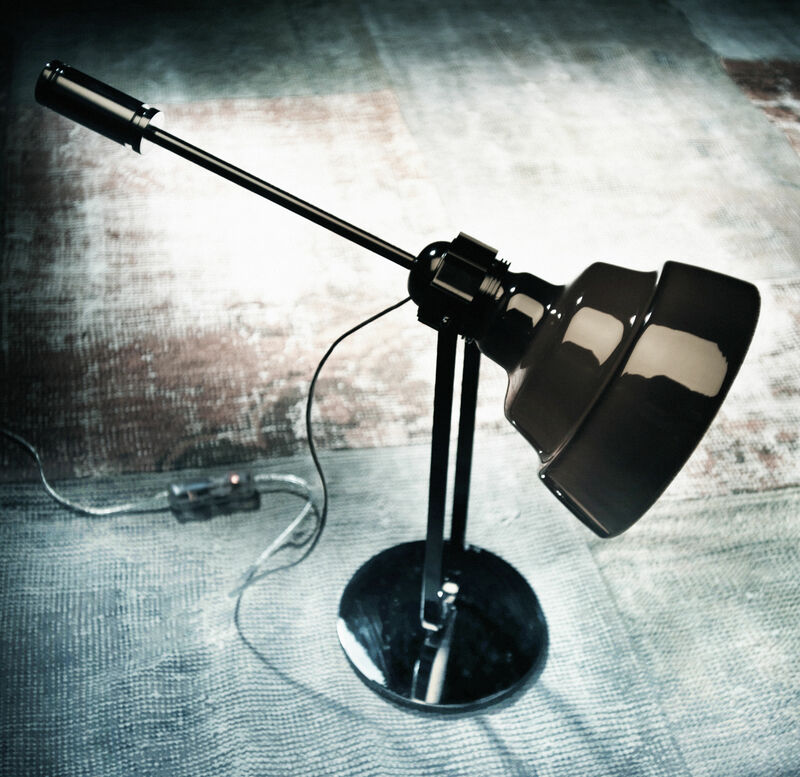 When it is on, it emits a warm beam, with a retro feel, which is both directed and diffused. This characteristic underlines the passage from the technical nature of metal to the artisan craftsmanship of glass. Large or small, suspended on a chain or placed on a table, oriented with a counterweight, Glas transforms a home or public environment into a creative laboratory, a fascinating workshop of new trends.